The email I had been waiting for finally arrived Thursday, it was confirming that I would be teaching at the school I talked about in my last post. This is quite a big event for me as I have quite a lot of responsibility combined with some challenging students. Not only do I have to get them through a Functional Skills in ICT qualification, but also their English, Maths and Science qualifications plus any additional awards such as ASDAN Bronze Award or their Food Hygiene certificate. 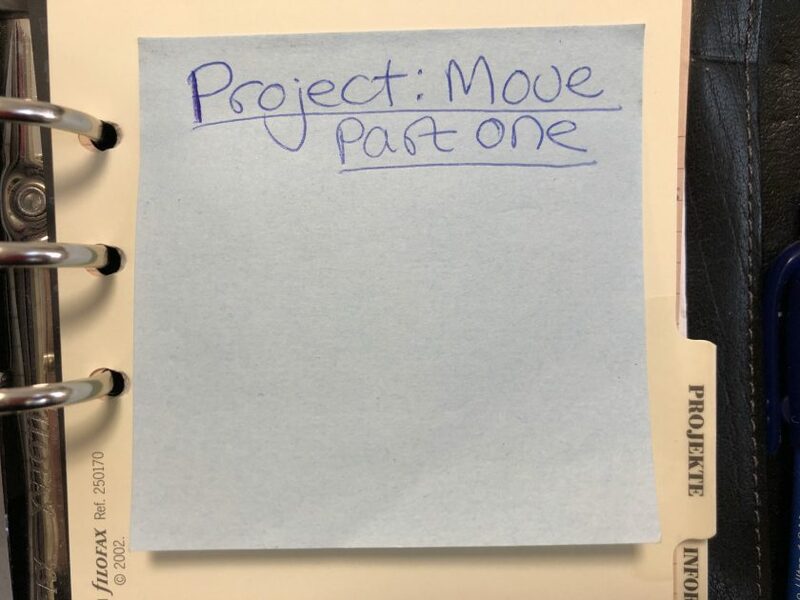 I have to work alongside their current teacher planning wise for the next week or so to get up to speed on what they have been doing, what they are entered for and work out how to incorporate their ICT (which they have not yet started) into their curriculum appropriately. I do of course have TA’s (Teaching Assistant’s) and an HLTA (Higher Level TA) in my class to work with as well, which also need to be planned for as they are permanent fixtures so to speak! This will undoubtably help but I will need to make sure they know the plans and can do the ICT tasks as well. I need to ensure that my lessons are made up of small chunks of work that combine to make a 45 minute lesson and that it is obvious what each part of the work is for so the students realise they are doing each bit of work for a reason rather than just because they need to be kept busy while they are there (which seems to be the thinking of a few of the students from what I saw and heard while I was there at the start of term). 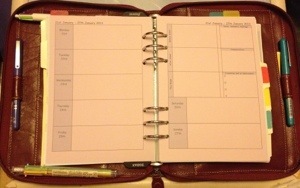 Because if the nature of the school environment, I cannot take my usual Teaching kit into lessons, so I have created a new setup for my Filofax so I can note down after each school day any issues, plans or ideas for future lessons and have basic notes to guide my planning and preparation for the entire week. We have a daily debrief after the students have gone home which is really helpful, I will add notes from this to my new pages as well. I did try to use my Teacher’s Organiser pages initially; I did not have them with me during class but I used them at the end of the day to work out the plan for the next day, except this wasn’t very useful during the day. 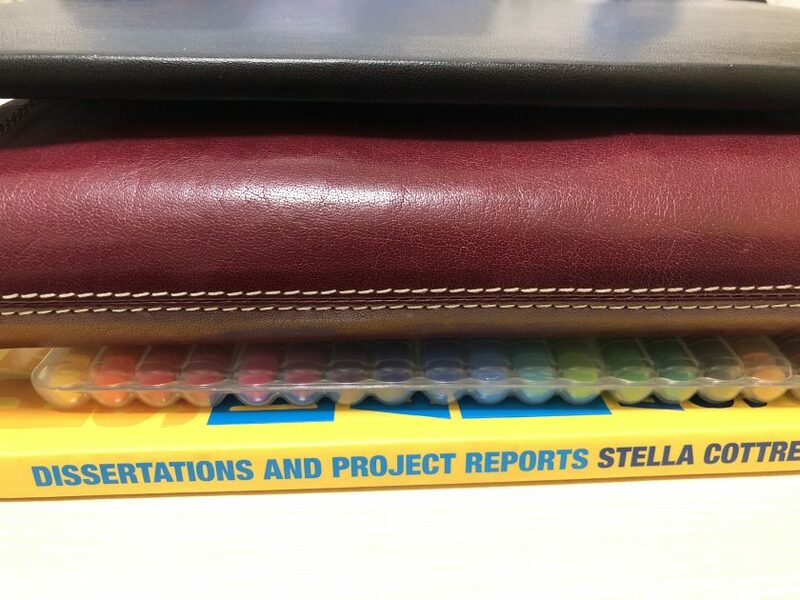 So, after I found out I was returning definitely I started to think about how I would need to set up my Filofax to accommodate a bit of planning and also any appointments or notes. I was also missing being able to see my week in front of me, sure I have my lovely month on two pages from Lime Tree but I seem to have gotten used to the Enhanced Time Management week to view pages I got from Philofaxy. I was just going to print out my customised Enhanced Time Management week on two pages but I then had a better idea! I printed them out on my lilac A5 paper as I found the yellow a little too see through and bright (I did find it better after I had used them a while) but when I made my pages last May/June I had made them on lilac paper, if I hadn’t printed the month to view on the light blue paper I would have printed the weekly ones on it but both on light blue paper makes it harder to see where the months are so I continued with lilac and printed the rest of January, all of February and all of March on to the lilac pages, punched them and put them in my A5 zipped Holborn. I will see how I get on with them both design and paper wise then over Easter I can make any changes as necessary to either the design or paper before I print out the pages for the summer term. Hopefully these pages will help me plan out my work in a coherent manner and support the last few months for the year 11’s so they can at least come out with some qualifications. Sunday will be spent putting together a resource to get them started on their ICT first thing Monday in order to give me time to review the notes and files the other Teacher has left in the office for me. I think the subject I am most concerned about is English as Maths and Science are fairly easy and logical for me, English however is going to be harder mainly because of the large variation in reading age within the group. I am aiming to post at least weekly about the challenges I am facing and what has been achieved so far – this will depend on how busy/mad it gets but it will also be a good source of reflection for me and will help with my future development plans.